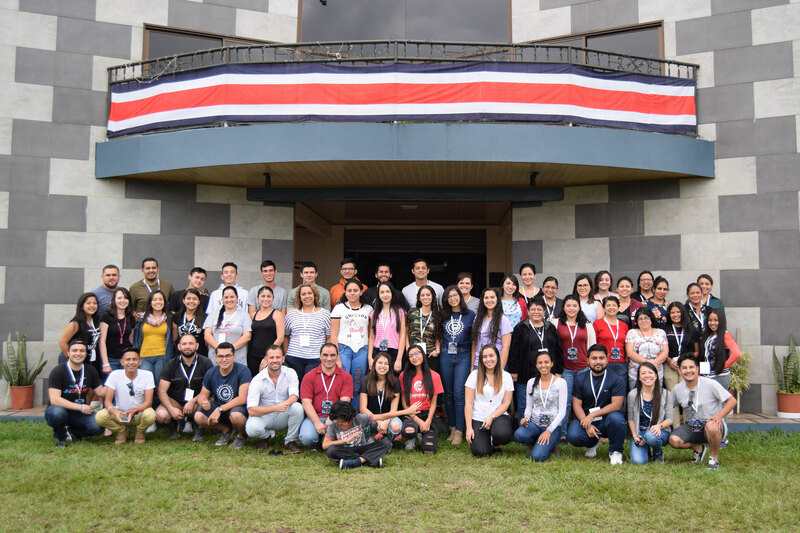 Thirty-seven participants from both districts in Costa Rica attended a Cross-Cultural Orientation Sept. 7-9 at the Poas Church of the Nazarene. Sixteen volunteers, including district and field leaders as well as missionaries, helped make the event possible. Regional Coordinator of Nazarene Missions International, Ana Maria Crocker, shared in several sessions. Pastor Felipe Flores, Costa Rica North District Superintendent Rev. Johnny Calvo, and Costa Rica Central District Superintendent Rev. Sirlene Bustos all shared the word of God. Nazarene Global Mission coordinators at the district and field levels organized the event. Nelson Vega serves through Global Mission in the Central District, Estefania Amador in the North District, and Freya Galindo serves in the Mesoamerica Central Field. “To see happy faces and people believing that they can do a little more, to see them wanting to answer a call with conviction – it’s priceless. I feel very satisfied with what we achieved. I know that God used me as part of his plan, and that’s the most comforting thing a person can feel. Even though he does not need me, He decided to let me be a part, and that’s an indescribable feeling,” said Nelson Vega about the CCO. Christopher Quinto, Los Ángeles Church of the Nazarene: It was an experience where I rediscovered my call and got excited again like the first time. I rediscovered that “The sky is the limit,” and now I believe in my abilities and virtues. The event challenged me to not stay still; it was the impulse that I was lacking to move forward and not give up when obstacles come my way. Xavier Yadir Diaz Chavez, Cañas Dulces Church of the Nazarene: A lot of things happened during this camp, but the one that impacted me the most was that God clarified a thousand doubts that I had. I never thought that I could be so sure of where I am, and from where God has brought me. My life is sealed with God’s name and that will never change; the best is just beginning, so let’s prepare ourselves for unimaginable things in our lives. Danah Webb Leandro, Desamparados Church of the Nazarene: I can say that every workshop, every activity, every devotion, every word I heard and hug I received during these three days marked my life and created in me a Christian reality totally different from the one I had when I came. This camp gave me a new vision and a new purpose, and it filled me with strength and hope. The CCO gave me a new calling and a new direction to work with my NYI, my church, my community, my country, and even to other far-away places! I don’t have words to describe these three days; what I can say is that this has been one of God’s greatest gifts for my life. Written by Ana Hernandez in collaboration with Estefanía Amador and Nelson Vega, Global Mission Costa Rica.